Opera and classical music, exquisitely refined pastries and cakes, a café culture woven into some of the world’s most beautiful streetscapes, the creative and cultural legacy of centuries of Habsburg imperium. When you think of Austria, perhaps these are some of the images that float in front of your mind’s eye. But what do Austrians themselves think and feel about their country? At the table of Austrian Ambassador to Japan Bernhard Zimburg and Madame Rashmi Zimburg, and surrounded by their friends from points across all Austria, we are lucky enough to hear something about this Alpine nation from its own people, what Austria really means to them. The day of our lunch with the Zimburgs is warm and sunny, a reminder and a promise of the hot summer afternoons just around the corner. Madame Zimburg greets us at the entrance with a welcoming smile, Ambassador Zimburg with a gentlemanly kiss to the hand for the lady and a firm shake for the man. And soon we are joined in the elegant art nouveau front hall by the other guests – Margret Lindenbauer from Salzburg, Katja Otter from Vienna and Michael Otter from Styria. But we are not long inside. Greetings out of the way, our hosts usher us into the sun-bright garden, where we are served an effervescent cocktail called Hugo and we dive enthusiastically into conversation. 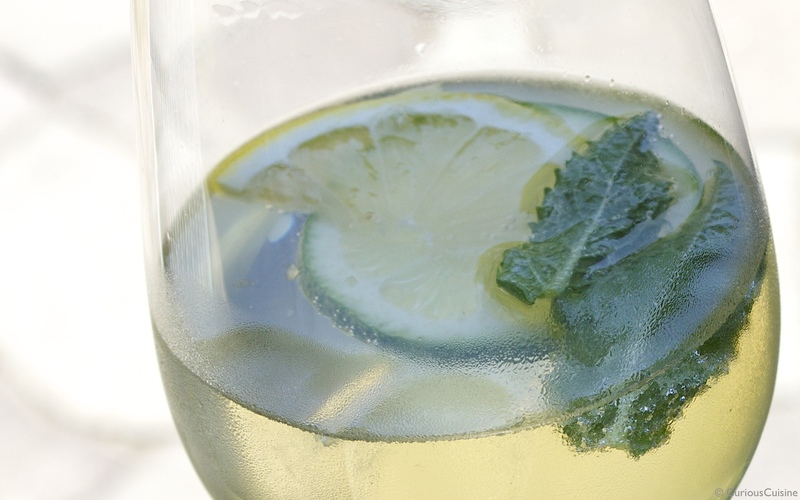 The cocktail is a perfect match for the day, a deliciously refreshing mix of elderflower syrup, lime juice, mint, tonic, and sparkling white wine. The Austrian syrup has a touch of floral sweetness — a whisper of something familiarly Asian, though it’s hard to put our finger on it. After some moments sipping our Hugos and admiring the flowering trees, we hear word that embassy Chef Ryo Horiuchi is ready to serve the first course, and we repair to the dining room. That first dish has Styria native Michael smiling ear to ear – a plate carrying three beautifully laid out salads collectively called Steierischer Gemischter Salat, or a “Styrian mixed salad.” Adding to his enthusiasm is the deep green stream of pumpkinseed oil — a Styrian specialty called Kürbiskern-Öl — running down the middle. Though served as a team, each salad is completely different from the others. 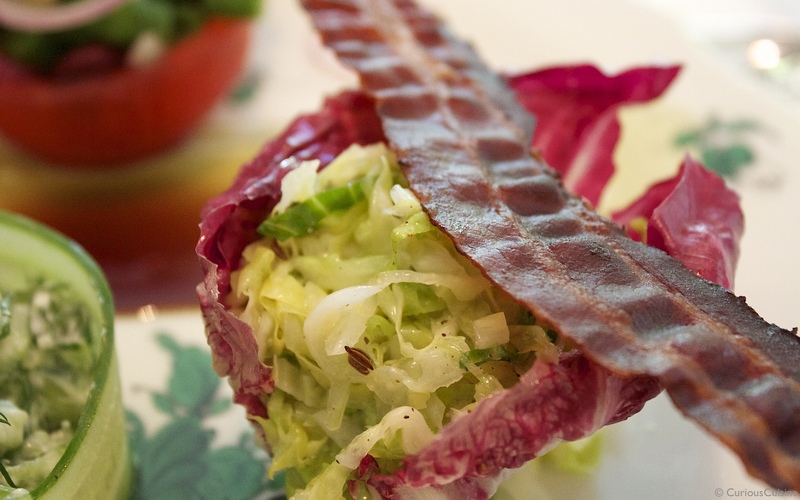 There is Kraut Salat, a dish of shredded cabbage with just the right hint of sourness and touch of crunch. 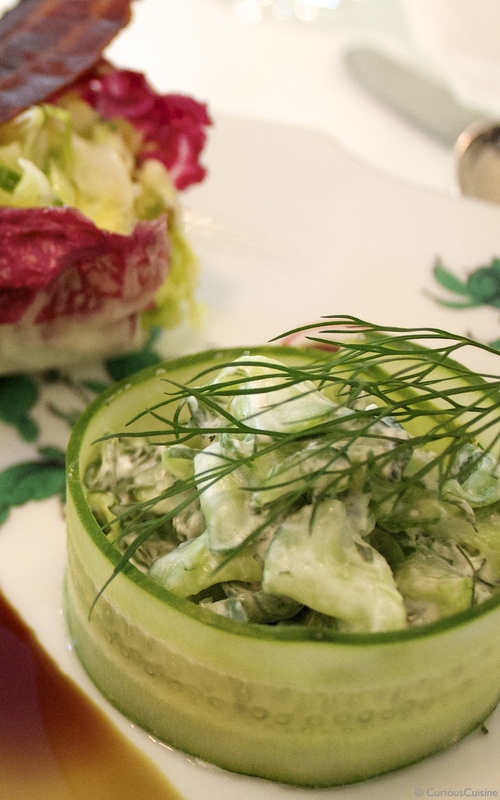 There is Gurken Salat, a wonderfully smooth combination of sliced cucumbers and sour cream all seasoned with summer fresh dill. And there is Käfer Bohnen Salat, a mixed bean concoction with a splash of vinaigrette. Cucumber salad, Gurkensalat. 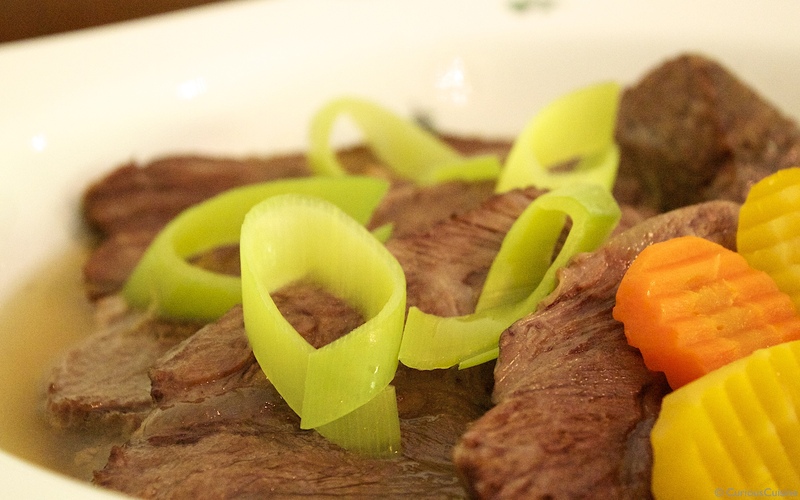 See Austrian Embassy chef, Ryo Horiuchi’s recipe. The pumpkinseed oil, though, deserves a stage all its own, wrapping everything it touches – the salads, bites of fresh bread – in deep nutty flavour. We’re told it’s also wonderful drizzled on vanilla ice cream, and we can imagine slender streams of dark green running down cream white slopes. This elegantly full flavour would also work in perfect harmony with the texture and taste of the ice cream. All this comes with another treat: a deep-bodied white made from the Austrian Grüner Veltliner varietal from a some 2,000-year-old vineyard near the banks of the Danube. Thinking about how much love and care must have gone into preserving this vineyard since the Roman era, into making the stuff now in our glasses, knocks us back in our chairs. 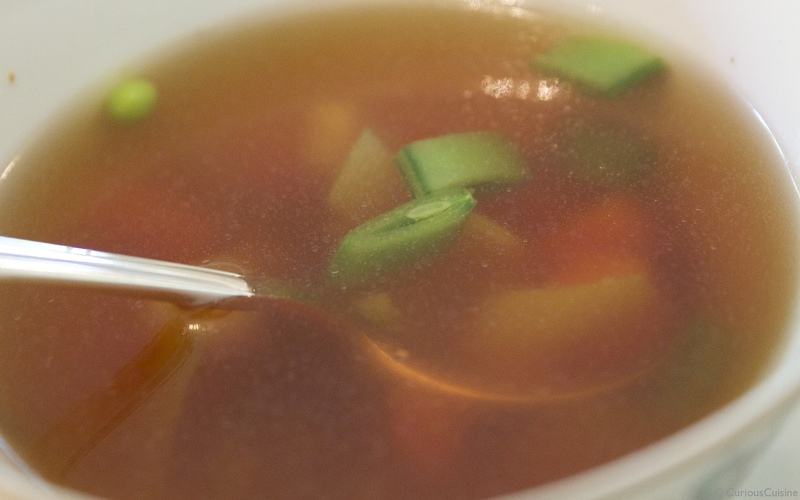 And now for the next course: a dark brown broth called Klare Suppe, or simply “clear soup,” dotted with colourful cubed vegetables whose freshness is a lovely contrast to the smooth depths of the soup flavour. The Klare Suppe is in fact the happy by-product of today’s main course, the signature Austrian meat dish Tafelspitz. It reminds us of a book of traditional Austrian cooking that Madame Zimburg introduced as her “bible” a couple of weeks before. In it, there are pages upon pages of recipes based on the same soup spun into new forms with the addition of different dumplings, strudels and other ingredients, creating a rich tapestry of tastes and textures that give each dish its own distinctive identity. And this love of variety isn’t just for soup. The philosophy and tradition underpinning all Austrian cuisine seems to be to make the absolute best from what the season and the place have to give you, and the results are stunningly diverse and creative. Margret and Katja are suddenly smiling as we’re served a small loaf of bread in a pinwheel shape. This is Semmel, its pale crust satisfyingly stiff, its interior soft and yielding, and with a wonderfully chewy texture in the mouth. We suppose that it is not easy to find this famous Austrian bread with just the right smell, taste and texture in a foreign country. Something so genuine that it has native Austrians waxing nostalgic could not have been made with just the recipe; local conditions, from the source of the wheat to the qualities of the water and the climate’s impact on the yeast, must all have been taken into account. White rice, too, tastes different in different countries, so it’s understandable how surprised and happy the other diners are at finding a true taste of home here in Tokyo. Then Tafelspitz arrives. Flanking the thick, deep brown cut of meat are a pair of sauces that each does remarkable work enhancing the voluptuous taste of the beef: Crème Spinat, a rich and silky spinach puree, and Apfelkren, an apple sauce-horseradish combination. Next to this is another discovery, Erdapfel-Schmarren, masquerading as a basic shredded potato side dish. Take a bite, and basic it is not, filling the mouth with rich, earthy potato spiked here and there by perfectly browned bits of crunch. As we eat, the other diners tell story after story of their favourite things about every Austrian season, the conversation rolling around the table with rising enthusiasm. We hear of an asparagus harvest festival that was a highlight of the long-awaited spring, of seasonal waves of wild berries, and plucking pieces of fresh white cabbage straight from the barrel at a market. Summer summons all the fullness of nature, while autumn brings its own seasonal joys such as “Most” – fermented and ever so slightly alcoholic fruit juice. Sounds a bit like apple cider, but Most isn’t restricted to apples; it can be made with much of the bounty of Austrian orchards, from pears to plums to grapes. Head deeper into autumn, and there’s “Sturm,” a sparkling drink bottled while still in mid-ferment (further along than grape Most), on its way to becoming wine. In fact, Sturm continues to ferment in the bottle, meaning that not only does the taste evolve over the days and weeks, but the drink itself can only be had in Austria in the autumn. It cannot be preserved or exported, or even transported very far within the country. Winter is not warm in Austria, but that has demanded the creation of a wave of seasonal soul foods, from sauerkraut to jams and compotes – more examples of the Austrians getting great pleasure and great tastes from the ingredients they have at hand each and every season. Even in this era of globe-spanning trade, Madame Zimburg tells us that the content of an Austrian fridge is “completely different” depending on the season. It’s a tradition and attitude to food that the Zimburgs note Austria has in common with Japan. It’s at this point that Chef Horiuchi makes a grand entrance, carrying a deep dish with three miniature mountain peaks in it that wobble with every step. The soufflé, browned lightly on the top, is a Salzburg specialty called Salzburger Nockerl. Before it even lands on the table, the other diners are exclamations of joy and praise on the shyly smiling chef. Salzburger Nockerl. See the Embassy Chef Ryo Horiuchi’s recipe. 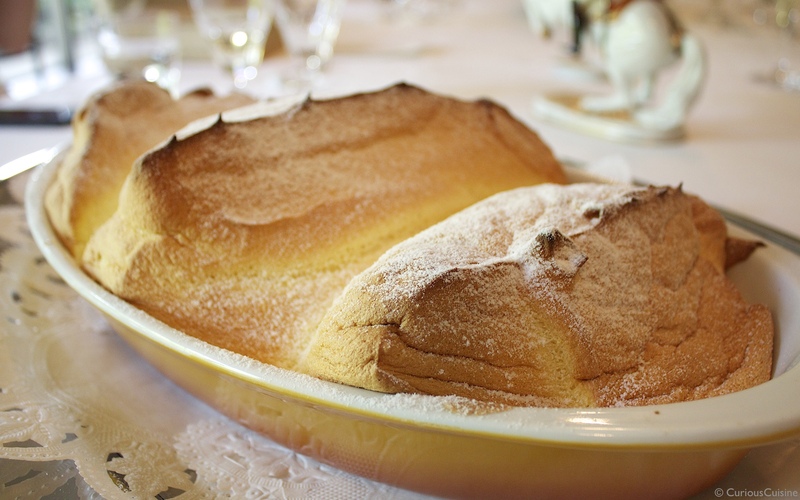 Soufflé, delicate as it is, looks extremely difficult to make successfully, but it is apparently a common home dessert in Salzburg. 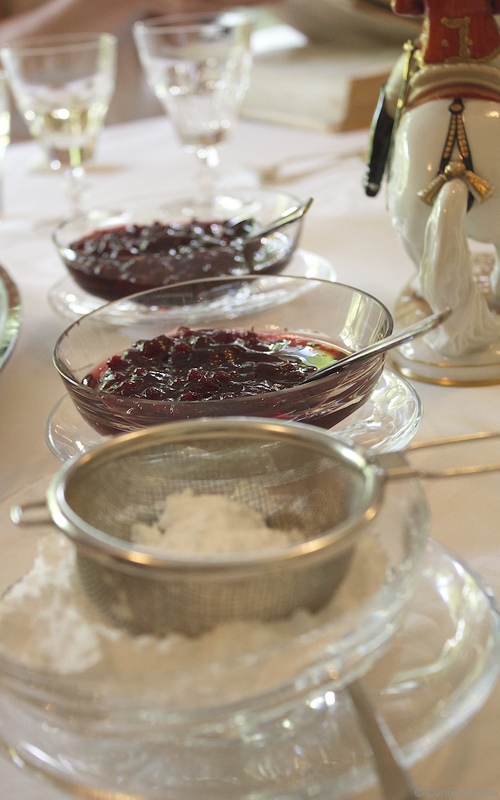 We take a bite of this small marvel sitting on our plates, dusted with icing sugar and paired with a little lake of mild cranberry sauce made by none other than the ambassador’s godmother, and it feels like it simply evapourates on the tongue. The taste is creamy with a subtle hint of egg that rises gently into the nose. The mountain is disappearing fast, but Madame Zimburg has thought ahead. A second Salzburger Nockerl appears and our hostess tells everyone to take as much as hey like, and the table rejoices once more at the prospect of seconds. As coffee is served and people are taking their last treasured bites of the traditional soufflé, we ask the other diners: If you had to choose just one, what is your favourite thing about Austria? The mountains, says Margret. Seeing cows and horses in pastures, picking wild mushrooms and berries, and the scent of the air. She says that she’s lived abroad for many years, but when she goes home to Austria, it’s simply the smell of the air that hits her, that seems so different than anywhere else. 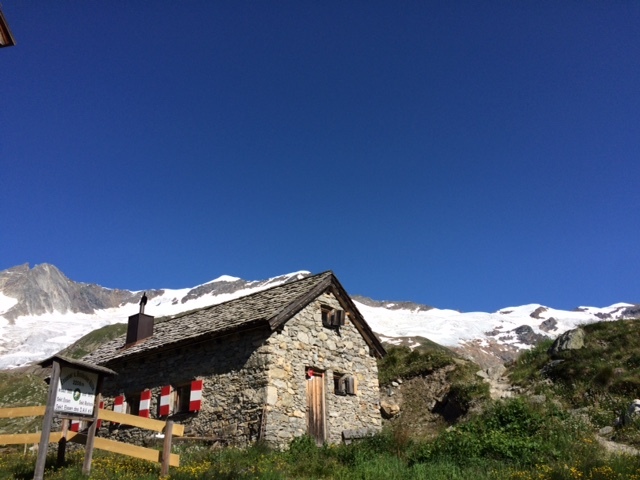 The answers trigger yet more conversation about walks and the outdoors, which we are quickly learning is a central thread in the joys of Austrian daily life. Austrians apparently often go out for what’s called a Spaziergang; long strolls with loved-ones, sometimes broken with a Jause – a light meal of coffee and cakes or, sometimes, of cold meats and cheeses, fresh bread, just-squeezed juices and beer. And if it’s an autumn stroll, Most or Sturm may arrive on the table to help pass the hours of casual conversation. “We like to eat and sit and live outside,” Margret says. And then it’s Michael’s turn, and he jokes that everything has already been said. He, too, loves the mountains, the intense greens of the Austrian countryside, which always remind him he’s come home. Michael’s holiday photo, freshly came from Austria, summer of 2015. Take long walks, have long conversations, enjoy seasonal snacks and drinks. There are apparently farm and winery stays available in Austria, and these simple joys of the Austrian lifestyle make the proposition an attractive one. It’s easy to imagine whiling away an afternoon on a terrace, breathing the fresh air, eating fresh food and sipping pear Most or Sturm as we chat away the hours. We leave thinking of the simple pleasure of a long walk, wishing to be in Austria as summer slopes into autumn to take in the beauty and pleasure of the outdoors and the season. Meeting and eating with these Austrians today, we also feel we’ve understood a little something of the places of peace, tranquility and comfort that await us in their country.